Our San Antonio auto repair shop at 1291 New Laredo Highway has been providing the South Side with reliable vehicle parts and quality car care for three generations. San Antonians come here first when there’s a part they can’t find anywhere else. Our decades of dedicated service and experience in the auto parts industry has given us a leg up on all our competitors. Some older vehicles are harder to find replacement parts for, but our reputation and our record have shown our customers that we can be trusted. Not only are we a parts supplier, but our South San Antonio location also offers quality auto repair services. We provide many different automotive services, including electronic diagnosis of modern computer aided systems, complete brake repair, routine oil changes, auto a/c repair, as well as fleet services. All of these services are performed by our highly trained, ASE Certified technicians using the latest tools and technology needed to repair today’s modern vehicles. Their expertise and our reputation for superior service means your vehicle is fixed correctly the first time and at a fair, honest price. Don’t settle for less – make sure you bring your vehicle to the car care experts at Carlisle Air Automotive in South San Antonio. We’ve been providing first-rate auto repairs for over 60 years. Our extensive experience, National Institute for Automotive Service Excellence accreditations, and state-of-the-art facilities results in exemplary workmanship. In addition, we only use the highest quality parts from respected manufacturers. This combination of first-rate parts and labor allows us to warranty all auto repairs for two years. If you have an issue with one of our repairs after you leave the shop, let us know and we’ll make it right. Our first priority is your satisfaction. While superior service and name brand parts may sound expensive, it’s not at Carlisle Air Automotive. We have a long tradition of providing no nonsense work at fair prices with excellent customer service. Your search for trustworthy auto repair in San Antonio is over. We’ve gained the trust of hundreds of thousands of people in the community by providing unparalleled customer service since 1955. Come experience the Carlisle Air Automotive difference for yourself. 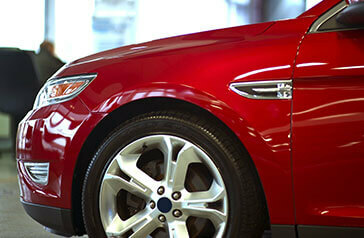 Our commitment to excellence and professionalism means you receive only the best automotive service. Our friendly and knowledgeable service advisors are ready to take your call. Give us a ring at (210) 922-5991 to schedule service. If you’re in the area and need immediate auto repair, stop by our shop at 1291 New Laredo Hwy.